Everyone and anyone – be it an Entrepreneur, Employee or Head of the Organization… today, every one is focusing on Innovation and how to go up the value chain. This post of mine is inspired by a presentation I saw (I sincerely apologize as I am not able to retrace the presentation) on how small thoughts can change the way we can package a service. Project Management is one key focus area which most of the start-up community ignores when they are beginning. There is no time to define the Organization Project Life cycle. I do agree and am with you on this. However, once we start looking into this area, I assure you that your innovation will definitely have a better output. You have got a great idea! and you confirmed that the world has been waiting for your innovation to come into market 🙂 That’s great and good news, however, before you put in your heart and soul, you need to look into the viability of your solution, how much would it cost to make your dream a reality, time to market and end of the day the returns which you are going to get. Well, now you are at the first step and desperately waiting for your solution/product to come into the market. Before you begin, the best practice is to get inputs from your family and friends (assuming that they are your customers) if they are going to use your innovation in their daily lives. It makes a lot of sense with family and friends because they critic it very well and give you a honest feedback. If you are not satisfied with their feedback, go out into the market and speak to potential customers take their feedback. If 5 out of 10 acknowledge you for your idea, then you can dive deep and see what else they want / do not want. Accordingly shape up your idea so that you increase the chances of the 5 to definitely buy your innovation. As you are working towards taking feedback for your innovation, also ask your ‘potential customers’ how much they are willing to spend if a product like yours is available in the market. 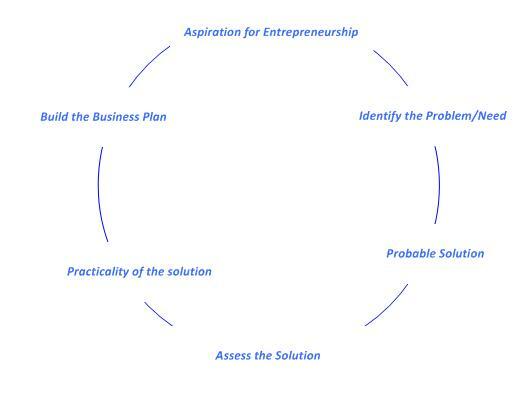 This is to understand/analyze/assess how your idea is accepted into the system. With this base information, you can reverse-engineer your costing model. Instead of you fixing the price, go with the price what people are willing to spend. This makes sense for you on the long run. It is better to sell 100 numbers at Re.1, rather than selling 10 numbers at Rs.10. Of course, this entirely depends on who are your target customers and what problem your solution would solve. The next aspect which you need to consider is the “Time to Market”. You are starting from the scratch and you definitely need to have enough funds and plan to take your innovation into market. With this analysis in place, you are very sure of how your project will shape up and also gives you the flexibility of time to build a quality solution. Well, now you have potential customers feedback, cost of your innovation and time to market. This gives you a clear picture of how things should be running for you. These become your milestones and ensure you are in track all the time, when ever you are missing your internal deadlines. During your journey in giving shape to your innovation, you will also need to keep working on how you are going to structure your Market entry and sales. How are you going to distribute your solution? (Internet, wholesale, retail etc). Identifying how your innovation is going to reach its customer is very important. Vague aspects like I will find someone to stock my product, will be available for download from the website etc are all very vague answers. Remember, if your innovation does not reach the right customer, at the right time and in the right way, then all your efforts are totally waste. What are your revenue streams? How are the customers going to pay? If yours is a wholesale/retail innovation, do you have the commission structure in place? Have you thought about the branding and positioning? We usually miss these small things. Right? I wrote about how the “Auto-Rickshaw” saw stagnant innovation in the last two decades of playing active role in commuting across the country. In this post, I will be short and sweet on my observations in mobile space. I am fortunate to be part of HeadStart, a not-for-profit organization working towards building entrepreneurial eco-system in India. We have been active more close to one-and-half years and during 2008, I interacted with many entrepreneurs and budding entrepreneurs. Quite a few of the entrepreneurs and wanna-be entrepreneurs I met are into mobile space and working on one feature or the other. Many are quite optimistic of the solutions they provide and how the end-user can benefit by their innovation. Even the potential investors are very active in mobile space. Well, being an active GPRS user, I am happy to try various applications and how friendly they are to me. I love the BTIS map on my mobile and the Google search tool bar which really helps to me quickly search for what I want. There are a whole range of mobile products which come in handy too. Fring is one application which is useful for people who which to be connected to friends all the time and Twitter has made its mark. There are other useful applications being developed too. Take a look at Numo, a mobile platform for BulkSMS and SMS Reminders for key aspects of life (Health, Pet Health etc). I do not have a list off my finger-tips to share with you the other innovative ideas, but would like to focus on a simple case study and Destructive Innovation coming from a major player in search – Google. Population of Bangalore is around 62 Lakhs (6.2 Million). For benefit of this illustration, let us consider that 100% of the population carries a mobile. In the 100%, let us assume that 50% (3.1 Million)use GPRS service. In the 50% user base of GPRS users, how many actually take time to search for a particular service / product in the area they are currently located? I am not under-estimating, but let us assume that around 50% of the 50% GPRS users use the service, which brings the number close to 1.5 Million (1,500,000). This is a classic example of the Bottom of the Pyramid concept. We are looking at the top of the pyramid user base and estimating the idea to be changing the way we live. What we need to remember here is the middle and bottom of the pyramid users who are not even knowing about the service. So, the target population for a value added service on mobile (with GPRS account) is very less. Google, on the contrary came up with an innovative solution – Voice Search. This search is already launched in Hyderabad, India. We have other search companies like – Just-Dial etc, and differentiating the search is up to you, as a user. Now, this is what I call Destructive Innovation. Just look at the outreach for this value added service – it is 100% of the users. Added to the service, the number users have to call is a toll free number too. In simple words, without spending a single penny, any mobile user can use this service. How different! Innovation is just not about an idea reaching the end user, but how well it dissolves in the DNA of the system is what need to be identified. I am writing this post with an intent of sharing my thoughts on small innovation gap’s which I commonly see (I will definitely not be able to list many gap’s, but if you notice a gap, then please post it as a comment for this post). Wikipedia has a good introduction to Innovation and hence, will not go in detail. What inspired me write this post is the amount of attention Innovation is getting these days and the number of aspirants thinking of doing something different from others. Let us look at a common example – For how long have you been seeing an auto-rickshaw, aka ‘auto’? (If you not an Indian, probably its a good idea to search on google for some pictures of auto). Well, let us say for our understanding that it has been close to 20 Years since there have been autos. Search for some pictures of the earlier auto’s and when you compare the look and feel to the current day’s auto’s, you will not find any major changes except for few ‘look’ changes. Every time we get into an auto, we know how dangerous it is and also few times, very uncomfortable. Try speaking to any auto drivers, you will understand how frustrating it is for them too. You sit in the auto for couple of minutes to reach your destination, but just imaging the plight of the driver who drives it all day long – during summers, rains and floods. There are not many options to customize the auto too (even though we have more auto’s in the country than cars, which have quite a number of re-design / re-model shops). Now, I am not speaking of extravagant modification’s, but bare minimum things. An example I can quote here is the wiper on the windshield. Did you notice that the wiper is not automatic unlike the car? It has to be moved using a small handle inside to clean the glass. First of all the vehicle is a three-wheeler with a handle. Gears on the left side and accelerator on the right side with also the front break. Is there a way the driver can leave the handle on one side and continuously keep cleaning the glass? Its not only a pain, but the most dangerous. When you look at the drivers seat, you also understand that there is no appropriate care taken to design the same. The distance between the seat and the handle is a bit longer and it poses great health issues to the driver, especially if he/she has a moderate body structure. If I go on, there are even more – the headlight is as small as a moped (miniature version of a bike) and there is no luggage space too. This is what I call “Innovation Gap”. There are various factors which govern the Innovation Gap – Competition, acceptance, target audience market saturation are to list a few. If there is no competition and the manufacturer is almost a monopoly, then the chances of Innovation are very low. Target audience makes a very huge impact. When you know the customer will adjust, again there is nothing motivating for innovation. Also, there are products/services in the market which get the customer to get accustomed and thereby reducing the thought process for innovating new aspects to the product/service. Market saturation – When you know the market size and very well assured that it would not grow, you tend to do things which are easy for you rather than enhancing the product and trying new things. Out Auto example above is a classic illustration of how Target audience and Market Saturation drive Innovation. Also, there are not many companies which manufacture auto’s and hence the existing manufactures have no motivation to enhance the product. I agree that over the last 2 years, there have been 5/6/8 seater auto’s coming into market, but the design is sill the same (well almost, the handle bar is replaced with a steering wheel). I will conclude this case study here, but assure you that there is more to come..
‘Mentorship’ is one of the key contributors to your persona/professional growth. No matter how educated you are or how many ventures you have started or been part of, Mentorship is very important to realize your dreams. Most successful business people definitely have mentors who must have helped them in one way or the other. This short write-up on mentor ship is my learning, experience and thought. According to Dictionary.com, a ‘mentor’ is a wise and trusted counselor or teacher. Note the word “trusted” because this is very important consideration which cannot afford to miss while choosing your mentor. There are various articles and many speakers who have defined aspects which you need to consider while choosing your mentor. However, in my opinion, choosing the right mentor is a very tedious task and you will need to spend lot of time evaluating all your short listed people who can be your potential mentors. Before you begin to evaluate various acquaintances to choose your mentor, you will need to first perform your SWOT (Strength, Weakness, Opportunities and Threat) analysis. This would provide you with what you have and what you need. Second, you will need to write down what is that you are looking for in guidance and support to achieve your goal. Third, you will need to keep identifying people whom you have access to, for approaching for mentor ship. In my opinion, there are two approaches for finding a mentor; One, you have a person with whom you are working with (colleague / boss) and Two, you have a person whom you look up-to as a master in any subject which interests you. Getting mentor ship in both the situations is not easy. There are challenges in finding either/both of the above mentioned kind of people around you and most importantly, they should be ready to be your mentor (this plays a major role). It is your very personal choice of choosing a mentor, however, there are few key qualities which are common to all mentors and you will benefit if you can identify your priorities and then choose your mentor. Listener – Mentor ship is all about guidance. You are banking on the person to guide you to be successful in your work. ‘Listening’ is a very important quality which you can notice very predominantly in your mentor. If you have made a list of people whom you can look up to for guidance if that person is not a good listener, then you will need to revisit the name again (this is my very personal guidance). You can definitely compromise on this aspect to ensure you learn tactics in handling your business/project, but there will be many times when you want to question and learn from your mentor and hence, listening becomes a key attribute. Optimist – Being optimistic is nothing short of greatness. The key attribute of successful people are that they are always optimists and this is contagious. Teacher – You mentor should be able to teach you what you need. True, you will need to know what you want to learn, but your mentor should help get you the information when you are ready for it. Do as much research as possible regarding the person before you choose/begin. You are not obligated; if during your research you understand that your selection is not appropriate, then do not proceed. Do not just choose a mentor, because you have to, choose because you want to learn. Be specific of what your expectations are. Do not approach the person and say “You are good at People Management. Can you teach me all of it?” This will never work. You will need to very specific of what you want – “I would like to learn from you, how you efficiently manage your resources.” Also, before proceeding explain what you do and how you do. It would give a good insight for your mentor as to what your thought process is and can guide you accordingly. Remember – “you take to give”. Do not be selfish and share your knowledge. As much as you want to be mentored, there might be others who look up to you for guidance. Share your knowledge and learning as much as you can. How does a Mentor choose you? It is not that you choosing the mentor is important, the mentor accepting your request is also important. Remember the famous saying – “When the student is ready, the master appears.” This is the truth. You might be successful in finding a mentor, but your mentor accepting your candidature is the underlining factor. You will need to have patience and keep following up with your request. Your mentor should see the determination in you to learn. Once you started working with a mentor, appreciate their time and knowledge and always be pro-active in accomplishing things. It motivates the person teaching you and also shows your interest and respect for the person. Keep looking out always; you don’t know where you might find another mentor. Meet with people, talk to them and share your ideas. The above are just my views and this might not be the way which works always. If you have a story or want to share your personal experience, please comment back and share with us.